So when I was a kid growing up in Milwaukee in the 60s and 70s, we had loads of local soda bottlers. We used to drink Graf’s, Jo Jo, Jic Jac and Ting. Graf’s was the big one, they had a great Root Beer and a drink called 50/50 which was a grapefruit / lemon line blend. When Graf’s folded, the brands were sold to Canfield’s in Chicago which also eventually went bankrupt. The one we liked the best was Jo Jo, which came in 7 oz returnables in a wood crate. It was dirt cheap and the only flavor really drinkable was the orange, some were well and truly bad. With clowns and balloons on the bottles, I think it was aimed at kid’s birthday parties, where cheap was the order of the day. We used to joke the secret formula was crayons, water and a bag of sugar. Unfortunately, they are all gone now, put under by the marketing machines of Coke, Pepsi and Dr. Pepper / 7up. The only local bottler remaining is Black Bear of Oak Creek, which is doing remarkably well. Until recently, they also did the returnables in a wood case, but now have come into the 21st century with throw-a-way plastic bottles. OK, so I’m not going to be 100% objective here. 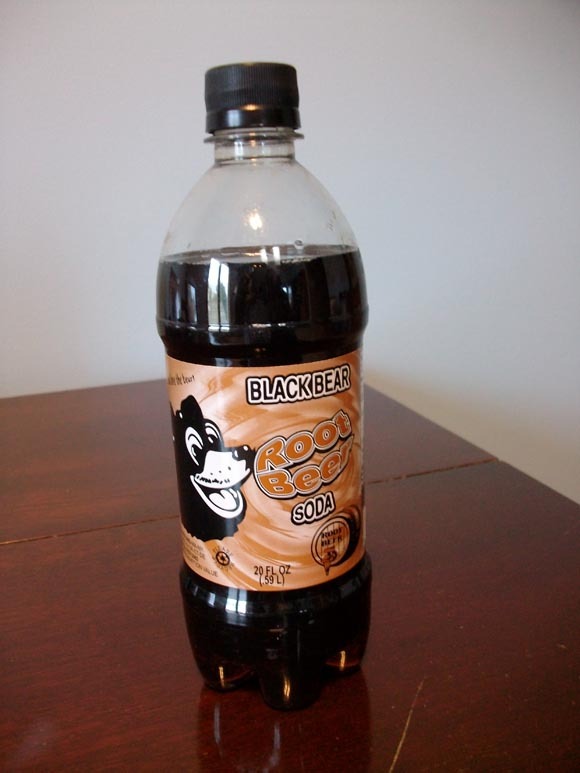 But it is a nice root beer, sweet with a whole bunch of vanilla. My bottle didn’t seem to be full, maybe they should check their QC (!). Black Bear also have a great pink lemonade for the summer which I recommend! Still family owned since 1920, not run by Harvard MBAs. One of the minority shareholders is Junior Bridgeman, a former Milwaukee Buck. Verdict – Buy a pallet!